Fruits and Vegetables – Of course these are always your best bet. Eat fruit when you’re craving something sweet. Fruits with a lot of water content, like citrus and melons, can help you feel full. 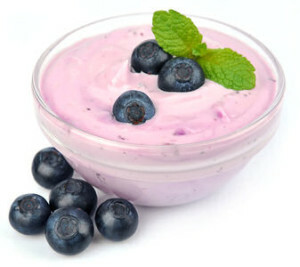 Mix fruit with low fat yogurt for a delicious treat. Raw vegetables satisfy the need for crunchy foods, and because they have a lot of fiber they’ll help fill you up. You can also make low fat dips using Greek yogurt, hummus and salsa. If you don’t buy organic, wash your fruit and veggies in a mixture of water with white vinegar or a small amount of dish soap added. Prepare them in advance so they are ready when you’re hungry. Juice – Buy an inexpensive juicer if you don’t have one. I own this one from Amazon, and it works well. Juicing vegetables is super healthy with no fat. Add a piece of fruit or carrots for sweetness, and half a lemon (no peel) and an inch of fresh ginger for flavor. You can also turn these into smoothies by adding Greek yogurt. There are lots of juicer recipes that are delicious and easy to make. Low Fat String Cheese – The low fat variety of string cheese tastes just as good as the full fat version. Take your time, peeling each string off before eating it. Eating slowly and and savoring your food will help you feel more satisfied. Jerky – If you really want to get some chewing time in, eat high-protein, low-fat jerky. Besides beef and turkey, there are many types of wild game jerky , including alligator, venison and buffalo. Of course there are other snacks that are healthy, but first ask yourself – is it healthy, is it natural, is it moderate in sugar as well as fat? Next up – the Low Carb Diet.